All Pokémon get together and dominate. 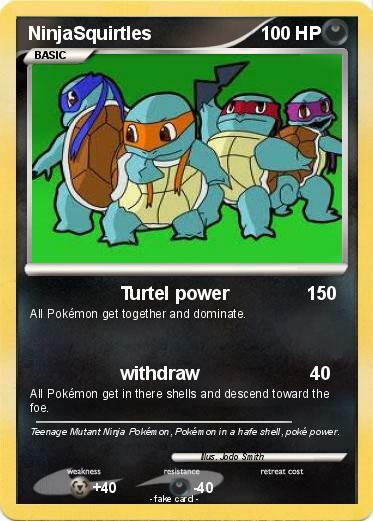 All Pokémon get in there shells and descend toward the foe. Comments : Teenage Mutant Ninja Pokémon, Pokémon in a hafe shell, poké power.